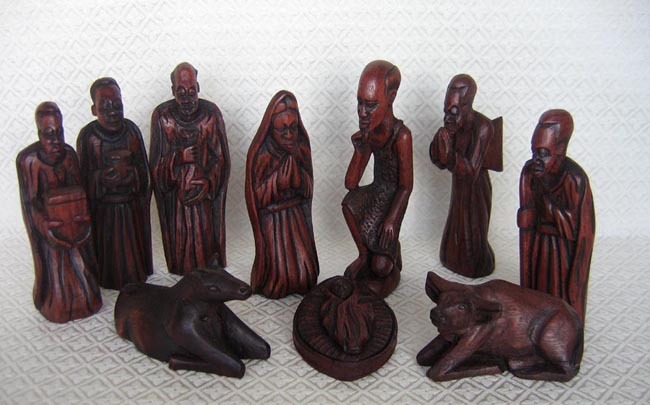 This hand-carved Nativity set from Zambia is made from stained Mukwa wood. The figures are carved by Pastor Justin Samba. He learned the trade from his father, who is still alive and carving. The set contains ten figures: Joseph, Mary, baby Jesus, an angel, a shepherd, a cow, a donkey, and three wise men. Joseph measures 8.5 inches tall.